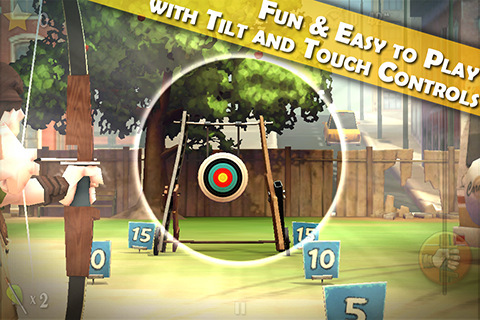 SplitApple is the new reference of archery on iOS. Easy to pick-up, just slide with one finger to draw your bow, tilt your device to aim and deal with both distance and wind… Will you be accurate enough to hit apples in the tree for extra rewards? - CHALLENGE: do your best score in 5 rounds of 3 arrows on a static increasingly distant target. - TIME TRIAL: perform the best possible score in a minute only: be quick and accurate! - SURVIVAL: start with 10 arrows. Get extra arrows with good shots. How far will you go? - PRACTICE: improve your skills on this training target: adjust the distance and the wind. 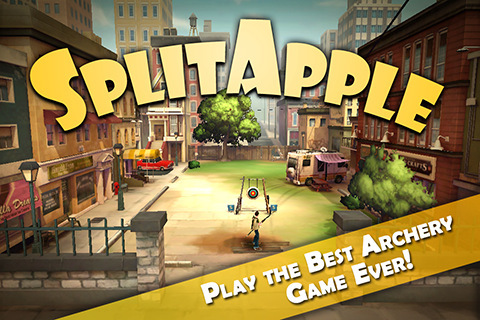 GAME CENTER: compare your scores with all the other archers of the SplitApple’s community!